The world is still in mourning for the legendary Queen of Soul Aretha Franklin, who died in August at the age of 76. 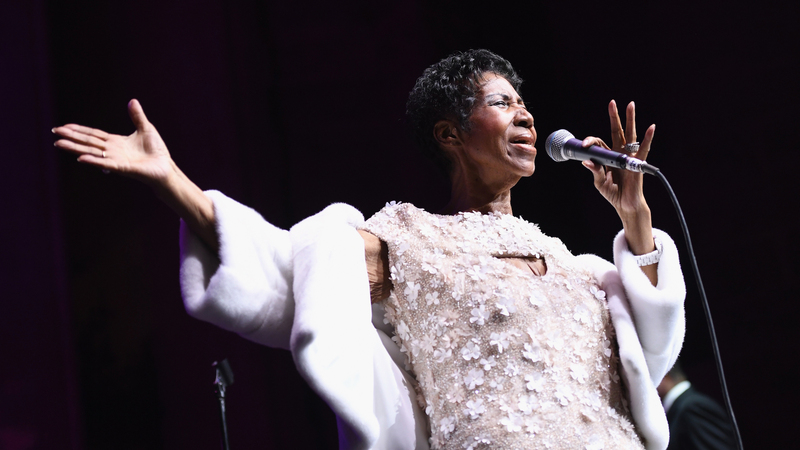 To honor her memory, artists including Kelly Clarkson, Jennifer Hudson and others will take part in the Aretha! A Grammy Celebration for the Queen of Soul tribute special. CBS is set to air the special sometime in 2019. Tyler Perry will host and a slew of musical guests are slated to perform songs from Franklin’s impressive and impactful catalog. According to Variety, at least 16 artists will perform for Aretha!, which will film on Jan. 13. In addition to Hudson and Clarkson, the latter of whom is no stranger to tribute performances, the special will also feature Janelle Monáe, Patti LaBelle (who laid her long-running feud with Franklin to rest after her death), Alicia Keys, Common, Céline Dion, John Legend, Yolanda Adams, Shirley Caesar, Alessia Cara, BeBe Winans, Brandi Carlile, Chloe x Halle, H.E.R. and SZA. There is no word yet on when Franklin’s tribute special will air on CBS, but we’ll be sure to tune in for what’s bound to be an emotional night of music and memories.